Do you know Brazilian Portuguese already and want to go a stage further? 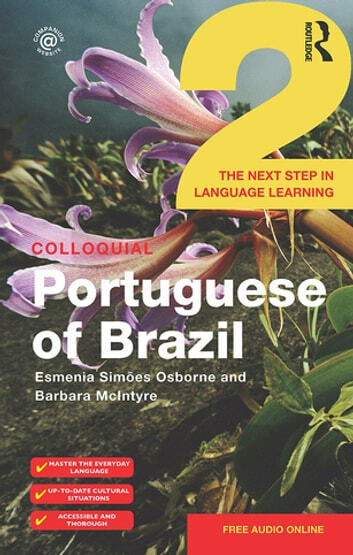 If you’re planning a visit to Brazil, need to brush up your Brazilian Portuguese for work, or are simply doing a course, Colloquial Portuguese of Brazil 2 is the ideal way to refresh your knowledge of the language and to extend your skills. supplementary exercises and Brazilian Portuguese language web-links at www.routledge.com/languages.